Mr. Kyugoro Sakata was first introduced to the fountain pen in 1911 by a longtime friend who was a British sailor. He was so intrigued by the design and function of the pen, he decided to start a company to craft the finest writing instruments in the world, named in honor of his friend. The Sailor Pen Company has maintained a heritage of quality and technical perfection. 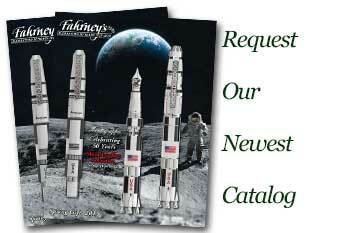 Fahrney's is proud to bring this exquisite range of pens to you.